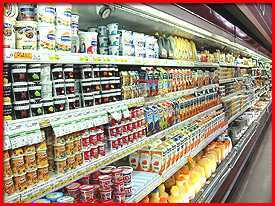 Large supermarket chains' sector is in constant evolution and SMI, one of world's leading manufacturer of packaging machines, meets this sector's latest requirements by proposing high technology equipment and systems, which can effectively satisfy the expectations of each single customer. In many markets we are currently witnessing an ever-growing demand for bigger and bigger packs, capable of containing a higher number of bottles or cans in order to facilitate storage operations and to speed up the positioning of each single container on the supermarket shelves. The WP 600 XL, a new model of SMI wrap-around casepacker, perfectly expresses the concept of operating flexibility, which is a key feature of SMI end-of-line packaging machines; this newly developed model is capable of producing both "small" fully closed cardboard cases and "big" cardboard trays measuring ¼ and ½ europallet size. 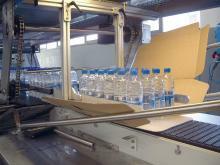 It is a very innovative choice, if we consider that, presently, the production of these two types of packaging solutions requires the use of two different machines: one for the production of cardboard cases in standard formats (2x3, 3x4, 3x5 and 4x6), and another one for the packaging of a huge number of bottles in trays whose size is equal to ¼ or ½ europallet (½ europallet = until 80 bottles). These collations allow to get remarkable savings in terms of production cost for each pack, as well as for storage room and working times. High operating flexibility > the range of pack formats which can made by the WP 600 XL is remarkably wider and includes both standard size bundles and "maxi" packs of "extra large" dimensions. Social responsibility > bulky packs are the answer to the growing demand for environment-friendly technological solutions, since the quantity of packaging material employed drastically reduces. Energy saving > the low consumption of plastic or cardboard packaging material turns into precious energy savings, during the packaging material production, the packaging process and the recycling operations. Simplified palletisation > palletisation operations speed up and get simpler, as "maxi" size packs require to place a low number of bundles on every layer (just only 2 in the case of ½ pallet format!). Touble-free storage > if compared to standard sizes, "extra-large" packages allow to remarkably reduce the number of operations to move the products down along the whole distribution chain; moreover, even the "unboxing" of each single bottle and its placement on the shops' and supermarkets' shelves becomes quicker and more efficient, since the operator can save time while emptying out cases and trays. We invite you to contact our sales department in order to find out the countless benefits of our WP 600 XL, the newer wrap-around casepacker by SMI.